In our last article, we looked at some of the greatest horror films ever made, counting down the second half (#s 6-12) of our top dozen. In this entry, we will look at the films which made our final top six. In choosing, the staff looked at factors such as success, influence, importance, rankings on similar lists, and most importantly, sheer fright factor. See if you agree with our picks--and if not, speak up and tell us what we should have picked! 6. 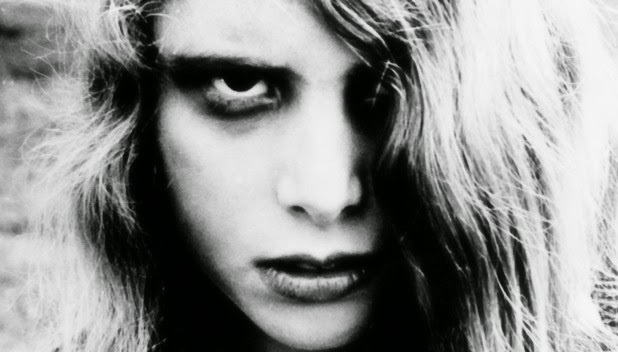 NIGHT OF THE LIVING DEAD, 1968. The first zombie flick to make a significant impact set the template for every one to follow, from the eerie look of the undead to the classic scenario of a group of misfits trapped in a house while the creatures fight to get in. What makes the film so effective is its neo-realist tone: shot in gritty black and white with raw, impassioned performances, it feels like a home movie of the event...and there are very few of the usual theatrical cues to remind one that this is fiction. Nearly a half-century later, the film feels like the beginning of modern horror, and can still craft a great sense of terrifying suspense. 5. 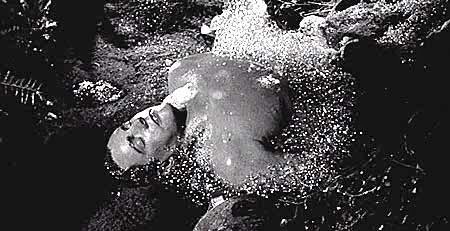 INVASION OF THE BODY SNATCHERS, 1955. There's not a single scene of blood, guts, gruesome-looking monsters, or any of the usual horror staples here. The 'monsters' here look exactly like the residents of any 1950s California town, and yet Invasion Of The Body Snatchers managed to tap into our very deepest, darkest paranoia, during a time when the McCarthy era was ramping up that paranoia on a national scale. Many critics have seen the film as a veiled political commentary on McCarthyist conformity, but this is first and foremost a sci-fi chiller of the highest order. By the close of the film, as two residents flee for their lives in the hills while fighting to ward off the sleep that they know will kill them, the sense of panicked, wild-eyed horror is as palpable as any ever evoked in cinema. The 1978 remake of the film, starring Leonard Nimoy, gets props for being nearly as good. This film was so important, in fact, that it also made our earlier list of the greatest science fiction films of all time. 4. 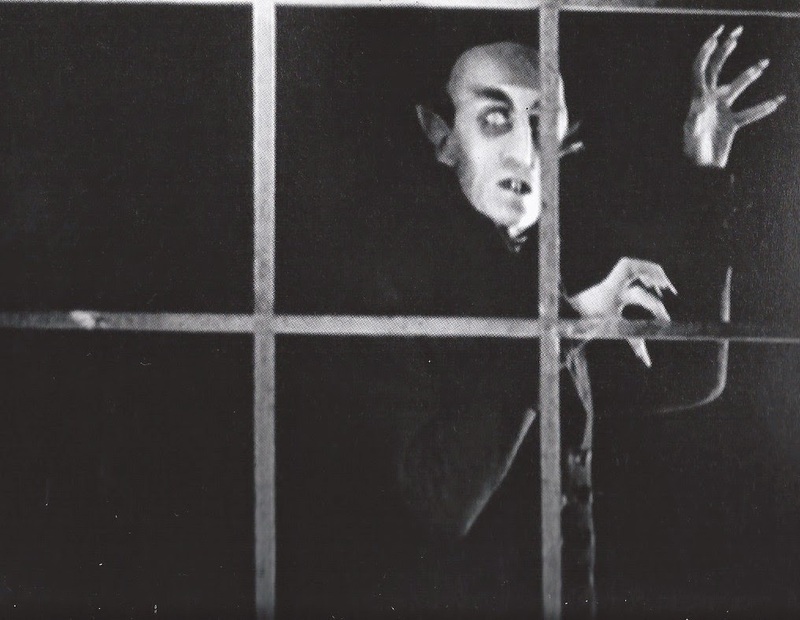 NOSFERATU, 1922. That's right, we have the ultimate vampire film in this list twice: first, Werner Herzog's masterful 1979 remake in at #11, and now the hallowed original, which actually gains strength from the fact that it is a silent B&W film. Director F.W. Murnau was a German expressionist filmmaker who was able to utilize light and shade in stunning ways, although it is the severe, haunted look of Murnau's vampire which remains the one undeniably iconic takeaway here. Nosferatu is recognized today as one of the greatest films ever made, but it didn't receive the same reception upon release--Bram Stoker's widow successfully sued for copyright infringement, and all prints of the film were ordered destroyed. One copy survived, and it is this copy which made the film a cult legend. No history of horror is complete without this look at one of the very first, and greatest, of its kind. 3. HALLOWEEN, 1978. the top three films on this list were all strong contenders for the top slot, and we were almost tempted to put this one there. What better film to watch on Halloween, than the legendary horror film that takes place on the holiday in question? The film's look at a deranged, knife-wielding killer literally spawned thousands of imitators (as well as a large number of inferior sequels), made Jamie Lee Curtis a star, and made Mike Myers masks (modeled, oddly enough, on Star Trek star William Shatner's face) a trick-or-treat favorite. 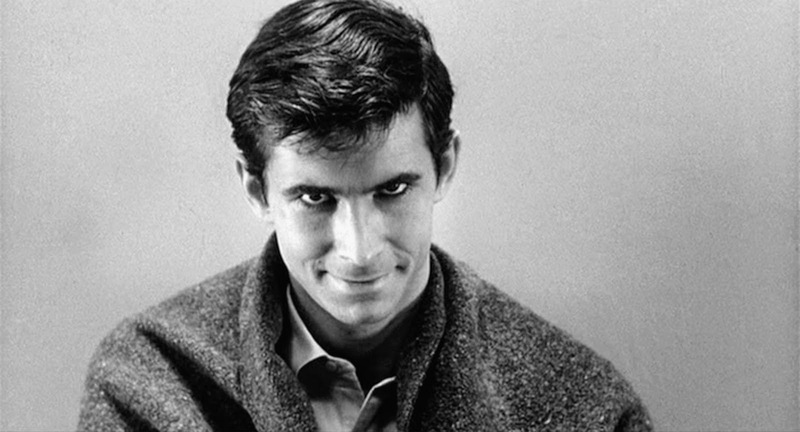 Ultimately, however, the film makes this list because it is one of the very few that a majority of audiences find truly scary; the director's mastery of suspense rivaled that of Hitchcock, and when matched to its grisly subject matter, the results were electrifying. 1. THE EXORCIST, 1973. 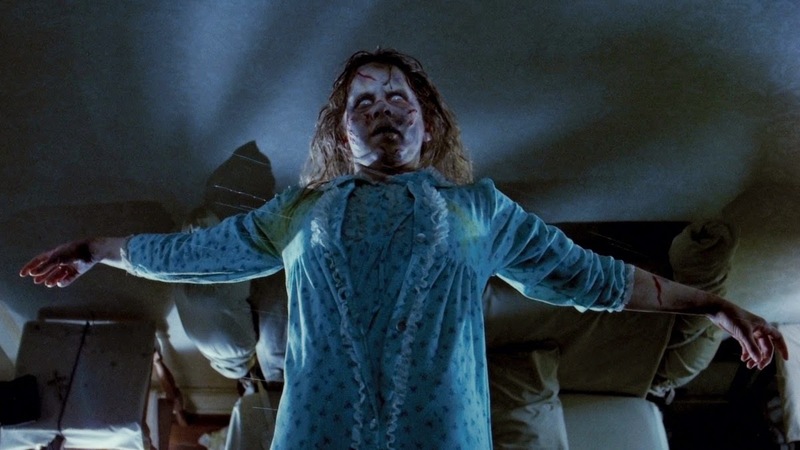 Widely regarded by many as the scariest film of all time, The Exorcist--allegedly based on a real-life exorcism--was so powerful that church bishops declared that there was actual evil residing within the reels. The first time this author saw the film, was when a local TV station was playing it one afternoon--and even in broad daylight, with the sun shining through the curtains and seen on a tiny 12" TV screen, it felt like a shadow of pure black darkness had enveloped the whole room. Much of the effectiveness of the film was down to its groundbreaking use of makeup and audio effects; the scene where Regan turns her head 360 degrees was so shocking, that certain theaters even provided special "Exoricst barf bags" for sensitive audience members. Even now, the film manages to frighten new generations, and will likely do so for quite some time.